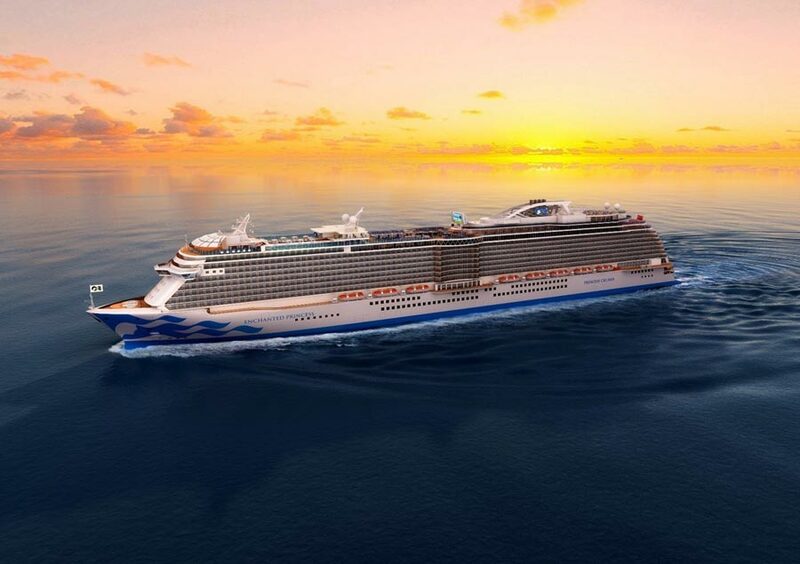 Princess Cruises has revealed the name of its fifth ship in the popular Royal-class as Enchanted Princess. The large vessel will arrive in 2020 and become the 19th ship in the fleet. The future Princess Cruise ship will be named Enchanted Princess and become the fifth Roayl-Class cruise ship. The premium ship will be built by Fincantieri at the Monfalcone shipyard in Italy and once complete will be 143,700 tons and have a guest capacity of 3,660. Enchanted Princess will evolve further than Royal Princess which was the first in the class. She will have new design enhancements as the cruise line expands further. Enchanted Princess is scheduled to debut on June 15, 2020 sailing on a series of European voyages. Bookings for her maiden season, summer 2020, will open on November 8, 2018. Princess Cruises is expanding and after Enchanted Princess the sixth Royal-class ship will be delivered in 2022. After that, the cruise line will move into a new era with the first Liquified Natural Gas (LNG) powered ship at around 175,000 gross tons arriving in 2023, a second will arrive in 2025. Parent company Carnival has some major ship orders right now not just for Princess but also other major brands including Carnival Cruise Line, Holland America Line, Aida Cruises, P&O Cruises and Costa Cruises.